Get ready for Maker Camp! Maker Camp starts TOMORROW 7/7/14! See http://makercamp.com/ to sign up and for more information. 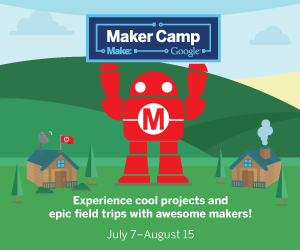 Maker Camp is an online summer camp for everyone, featuring daily projects and Google+ hangouts. Created by MAKE Magazine and Google, Maker Camp encourages everyone to build, tinker and explore. 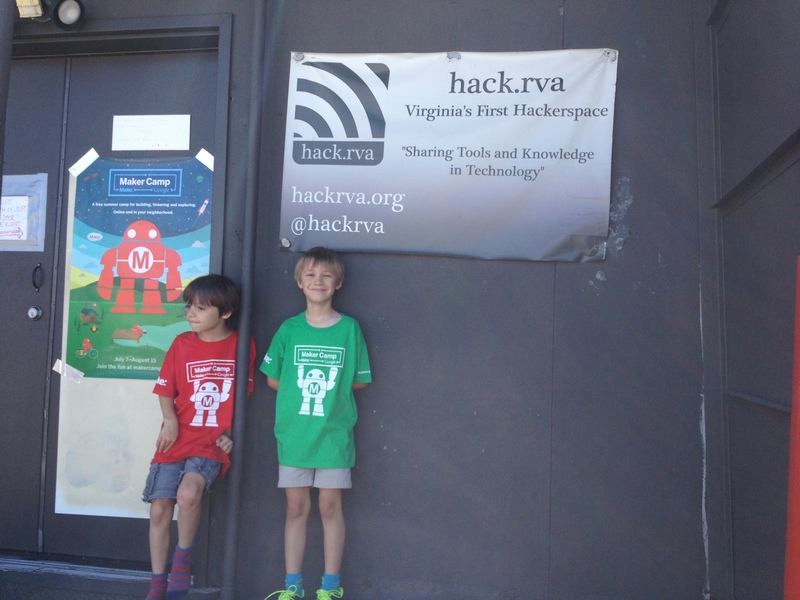 While primarily an online experience, Maker Guild will be hosting weekly evening meetup sessions at hack.rva to work on one of the weekly projects and just hang out. Week 1’s theme is Makers In Motion, with projects that explore various forms of motion. At our meetup, we’ll be making Heron’s Fountains (aka Magic Fountains) which demonstrate the laws of fluid dynamics. We can also make Makeys (the red robot mascot of MAKE) that feature some form of motion (your choice!). You can RSVP to attend any or all Maker Camp in-person get-togethers on Meetup here: http://www.meetup.com/RVA-Maker-Guild/ All meetups are 6:30-9:0pm at hack.rva, 1600-E Roseneath Ave.